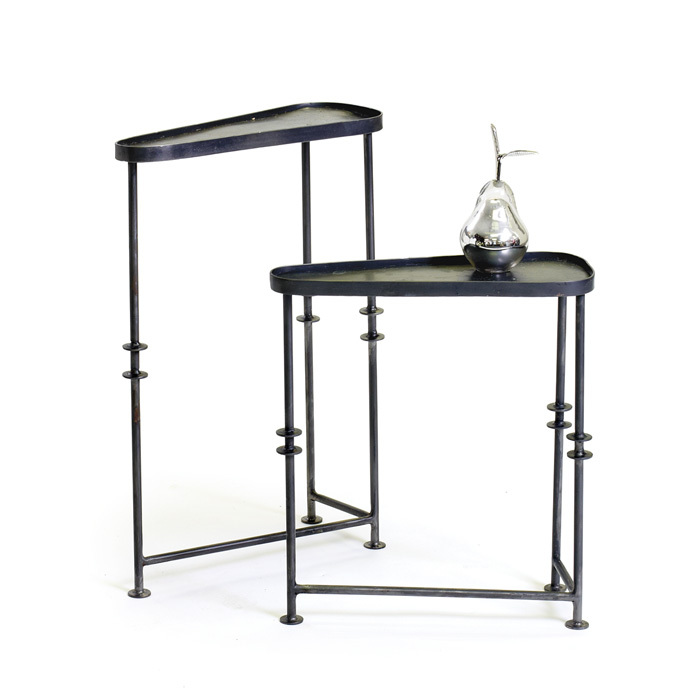 Nesting Iron Asymmetrical Tables. Industrial and functional. Size shows large table only.